Next show we will debut a new song plus our 2 singles that are available for download on all music streaming sites. 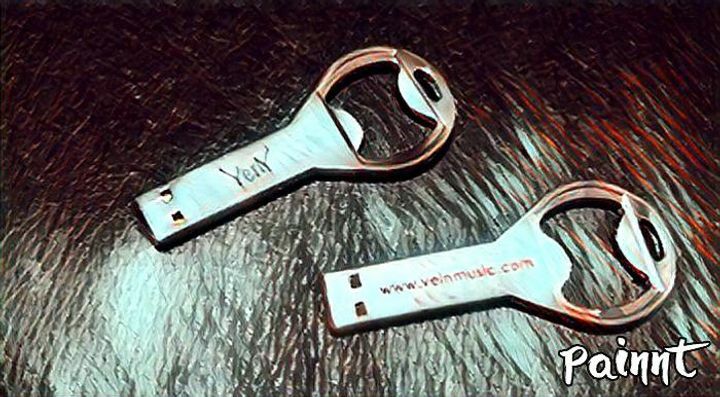 We will have a limited # of custom VeiN USB bottle openers that has the music already on them for $10 plus bonus materials! Fantastic time seeing the band outside of a concert! The video did All of Me was fantastic!! Great to hear Vein all produced up. Great job guys, it was a long road.